Welcome from chief engineer Chinwen. Amplifier Tubes for Beginners – quick guide. ATLAS 210X – tribute to genius_Herb Johnson, W6QKI. Mullard Valve (Tube) Tester E7600, 1956/57 Homemade data cards. Spot welder (homemade) from old arc welding transformer and tent poles! Treasure in the loft – Vintage transceiver Swan 500. 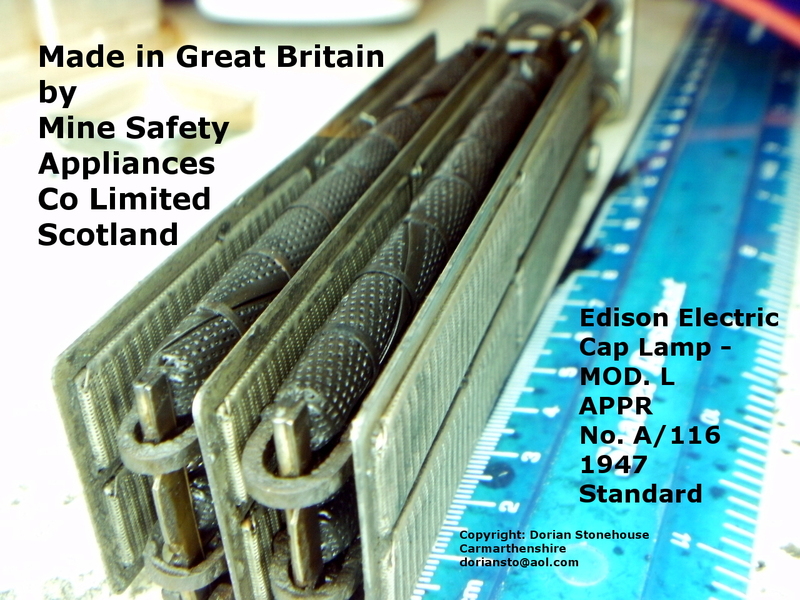 Miners cap lamp model P ( Edison 1947)- more pictures for you to enjoy. 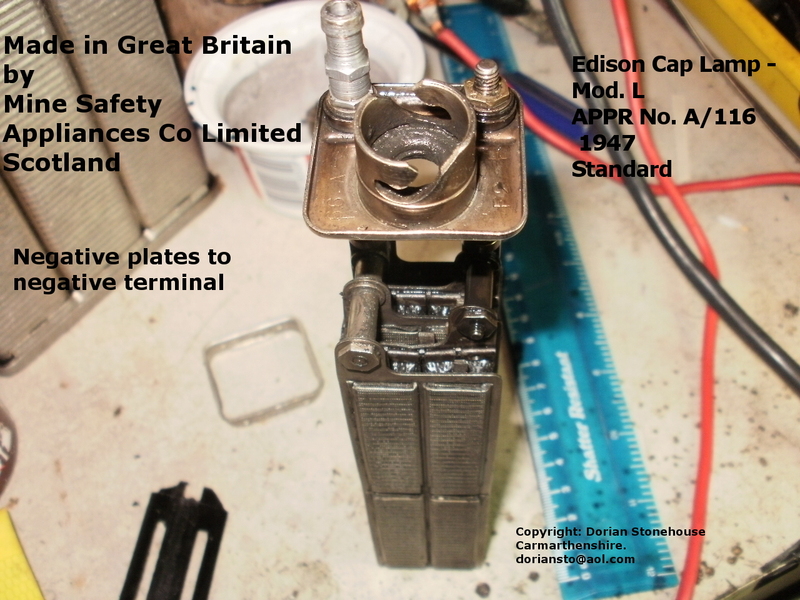 Miners cap lamp model P (1947) (Edison nickel iron [NiFe] battery) SERVICING. Oldham CVG3, 2 volt accumulator, valve "wireless" filament supply, circa 1935. 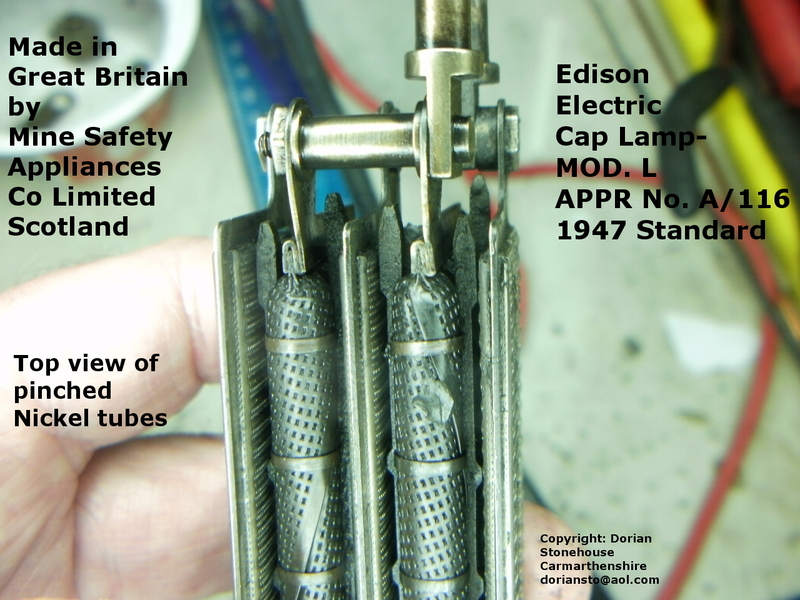 Oldham & Son Ltd; Denton, Manchester: Searchlight, Type TT Safety Lamp (Very Rare). Premier (Carbide) Lamp Made in England Crestella Engineering Co Ltd Leeds. 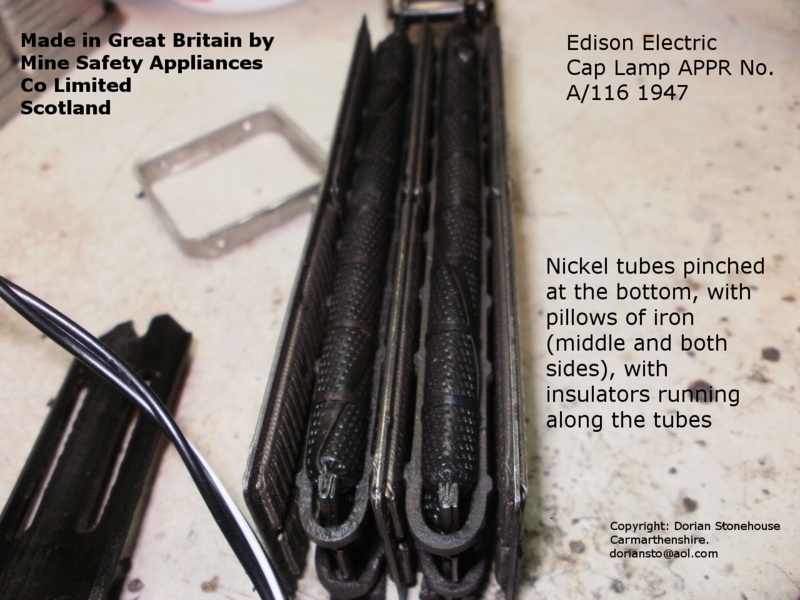 EDISON NICKEL IRON (Ni-Fe) BATTERY: HOMEMADE CONSTRUCTION. 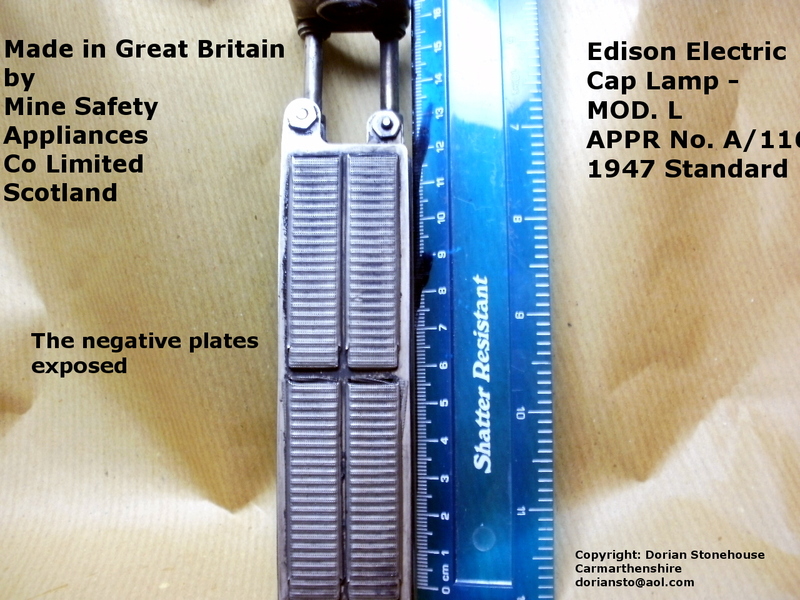 Edison Concordia (Miners) Electric Safety Lamp CO, LTD Cardiff Type KG2: the last working lamp in the whole World? Lithium-ion (Li-ion) batteries, caution: fire-breathing Daleks! 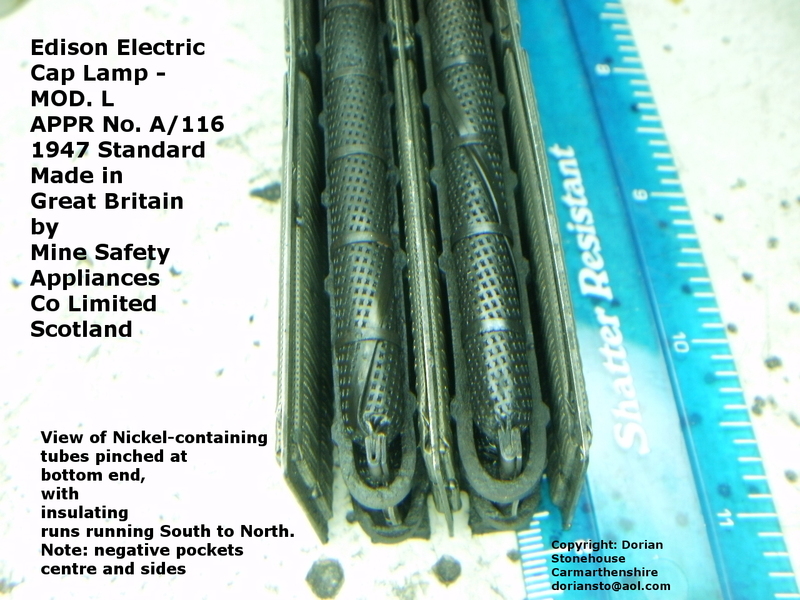 NIFE HANDLAMP TYPE NH5. NIFE (NiFe) BATTERIES LIMITED. HUNT END WKS. REDDITCH ENG. Mariner kerosene paraffin boat Cooking stove: preheating electric elements! Primus Burner: quality control issues. Primus Stove; Parasene England: Lighting And Ignition Accessory (2018). Alpha Radiation and Popping popcorn. Geiger counter: homemade with Soviet detector tube. Picture Gallery of Science and Nature. Pinhead Arcwork: weird and wonderful electrical arcs. Hearing Aid, "High Power Pocket Wired Box Mini Receiver Elderly Deafness Ear Care tool”... Worth it OR Worthless? Support electrosparkles.com? Click here then scroll down to find out more! Please may I ask all visitors to post links on their social media accounts directing visitors to electrosparkles.com so that more people can enjoy the website, and join in to present their technical ideas for featuring. Liked it? Take a second to support MOUNTAINradiomanCONTROL_959_ on Patreon! 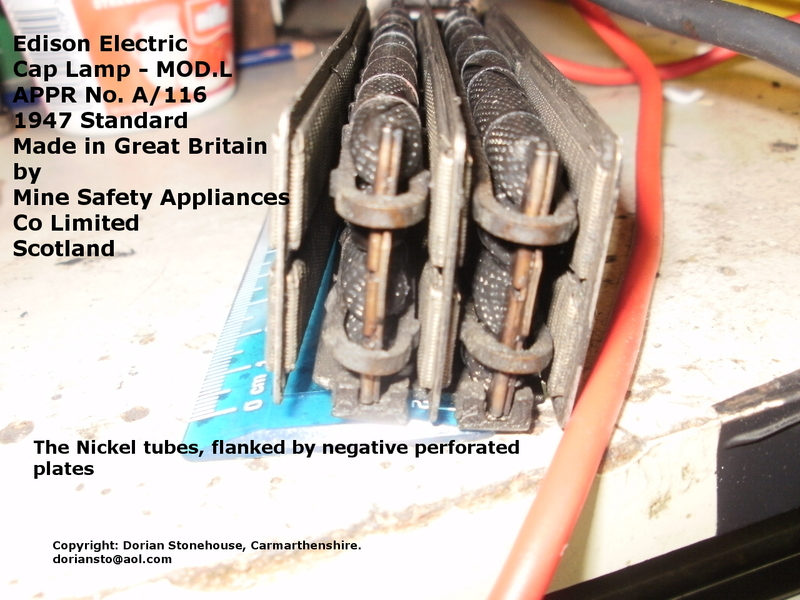 Oldham CVG3, 2 volt accumulator, valve “wireless” filament supply, circa 1935. Hearing Aid, “High Power Pocket Wired Box Mini Receiver Elderly Deafness Ear Care tool”… Worth it OR Worthless?